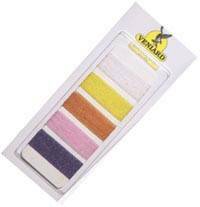 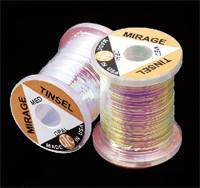 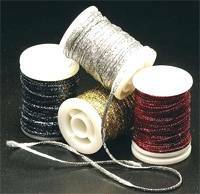 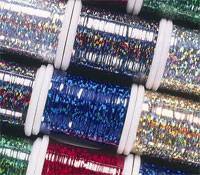 A great selection of Veniard fly tying tinsels in spools and loose hanks including Uni French embossed, round and oval tinsel, Uni Mylar, UTC Mirage, Holo Flat Braid and holographic tinsel spools and Krystal Flash, UV and Angel Hair tinsel hanks. 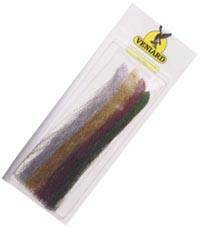 Fine strands have been black barred to give that extra illusionof movement that all fish love. 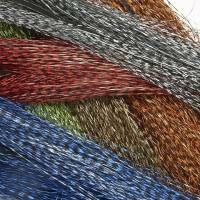 Veniard Krystal Flash's corrugated fibres reflect light like no other material. 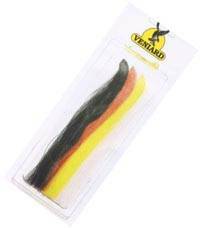 Just a few strands added to a wing or tail give an irresistable effect. 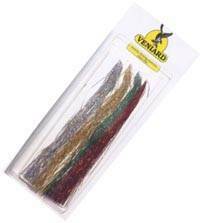 Packed in a re-sealable sleeve the strands are approx 25cm (10") long.